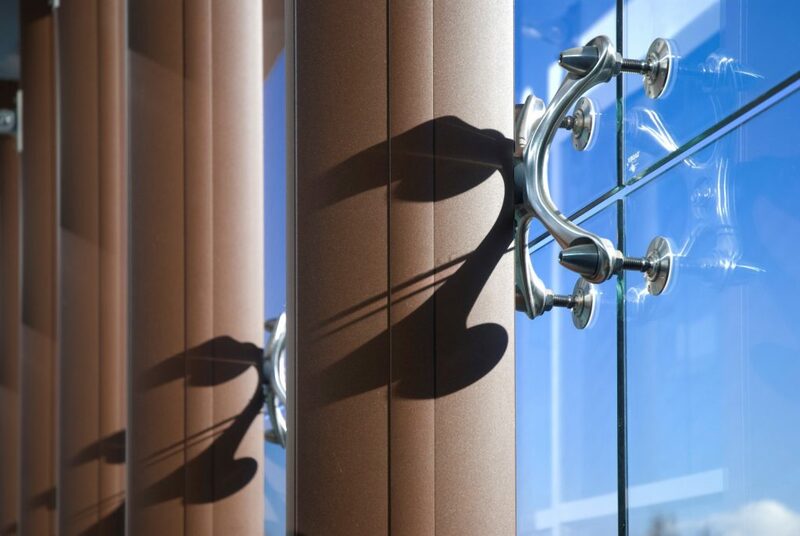 SADEV continues to innovate new products that provide maximum transparency for glass structures. Our extensive product line can also be adaptable to meet specific project requirements. The Architectural Glass Systems product line offers solutions for many applications including facades, canopies, interior partitions, and guardrails. By controlling our machining and casting processes we are able to maintain strict tolerances and quality of finish. All of our parts are manufactured using the highest grades available. We have always maintained the same high product standards over the years because we refuse to cut corners or use lower quality materials. SADEV USA and its representatives can assist you with your design including technical assistance in selecting the most suitable components and providing static engineering on the complete system. We carry inventory of the SADEV Architectural Glass Systems product lines as well as offering manufacturing, fabrication and finishing. What to learn more about us? Get to know all our staff! In addition to our standard hardware systems, SADEV USA has the ability to custom design, fabricate, and finish systems to meet our client’s needs. Our capabilities range from custom machined components to fully fabricated support systems such as canopy frames, wall support systems, and hand railing. We can consult on engineering requirements early on in the design phase of a project. SADEV USA also has many options for meeting “Buy America” provisions. Want to learn more? Start a project with SADEV USA today!